This chapter analyzes the progression of China’s efforts to expand its global reach in ways that will challenge U.S. primacy. China has undergone a dramatic transformation in recent decades. Its growing national power will enable the country to eventually challenge the unipolar status enjoyed by the U.S. since the end of the Cold War. This change has occurred over three distinct phases. The first, beginning with Deng Xiaoping’s consolidation of power in 1978 and lasting until the end of the Cold War in 1991, laid the foundation for China’s economic modernization. From 1991 to 2008, the country built on this progress through a series of muscular state-controlled reforms that led to its entry into the WTO. 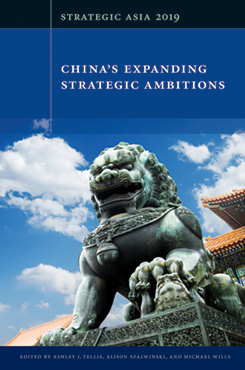 The third phase, beginning with the 2008 financial crisis and continuing to the present day, has confirmed China’s drive to establish itself as a global power and become a peer of the U.S.
Beijing possesses a clear vision and deliberate strategy for recovering the centrality that it once enjoyed in Asia, and these efforts have put it on track to become a peer competitor of the U.S. The principal task of U.S. grand strategy going forward must be to prevent China from displacing the U.S. as the primary security provider in Asia and supplanting it as the most important global power. A sensible U.S. strategy toward this end will emphasize penalizing China’s exploitative economic practices while protecting globalization, strengthening U.S. alliances by reducing trade conflicts with allies, and sustaining military modernization to emphasize effective power projection. 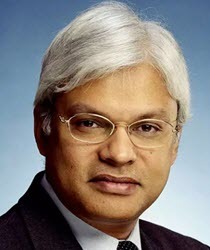 Ashley J. Tellis is the Tata Chair for Strategic Affairs and a Senior Fellow at the Carnegie Endowment for International Peace. He is also Research Director of the Strategic Asia Program at the National Bureau of Asian Research.